Several discs in my 78 r.p.m. collection turn 100 years old in 2018, including "The Little Old Log Cabin In The Lane," recorded by the Metropolitan Quartet. It is listed as 80484-L on the Edison Records label. 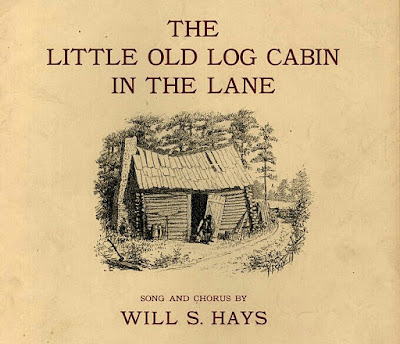 "The Little Old Log Cabin In The Lane" was a popular style song written by Will S. Hays in 1871, demonstrating that popular music was well known to southern musicians and performed by them in the early years. The lyric is typical minstrel fare, sung by a blackface character, and is nostalgic and sentimental. The song tells the story of an elderly man, presumably a slave, or former slave, who is getting old and feeble, and can't work any more. Everyone is gone except his old dog. In earlier days, people would gather around his door and he'd play the banjo while they danced, but now his house is falling down and the footpath to it is overgrown. In the little old log cabin in the lane"
Performers modified the lyric over the years, eliminating some dialect, including the original reference to slavery. The song's melody has been widely used down through the years in songs set in the cowboy West, like "Little Joe, The Wrangler," railroad songs like "Little Red Caboose Behind The Train" and in one very popular hymn, "The Lily of the Valley." It seems like everyone wanted to record this popular song and there are many variatons in different tempos that you might want to check out. Fiddlin' John Carson's version was one of the first commercial recordings by a rural white musician. Its popularity ensured that the industry would continue recording rural folk songs. There is a great version recorded by blind guitarist Riley Puckett in New York City that became one of the biggest country releases of 1924 and made him a star at Columbia Records. 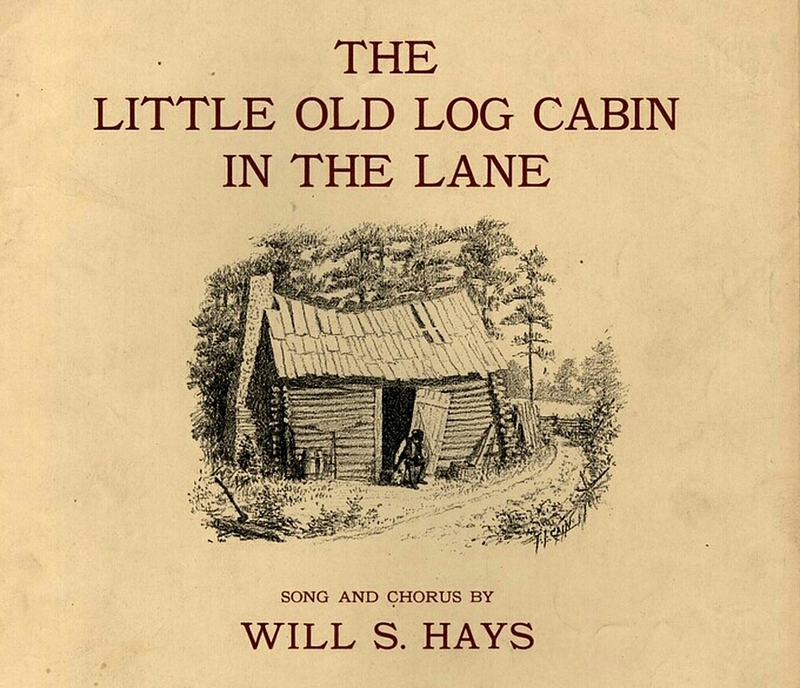 "The Little Old Log Cabin In The Lane" was so popular that it was still being recording a century later. 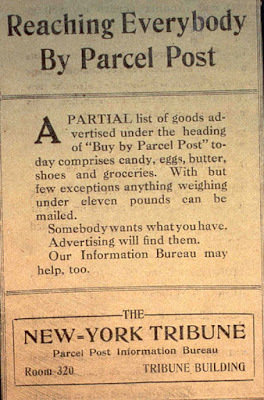 There were more than 20 recordings of it from 1903 to 1940. The Metropolitan Quartet's harmonized sentimental minstrel version was recorded in 1918. The song's writer, William S. Hays, was born in Louisville, Ky on July 19, 1837. 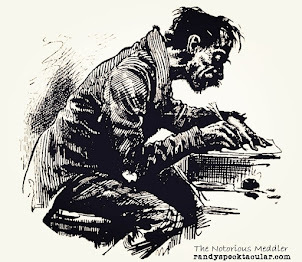 He published his first poetry in 1856 while attending school at Georgetown College. The S stands for his nickname, "Shakespeare," so dubbed because of his writings. He eventually made it an official part of his name. Hays finished school and returned to Louisville in 1857. He found employment at D. P. Fauld's music store, where he continued to write music and poetry. Over his career, Hays is credited with over 350 songs, and he may have sold as many as 20 million copies of his works, making him more prolific than most of his 19th century peers. In his later years, Hays claimed to have written "Dixie" but no evidence could be produced to back up his pretensions. Hays died on July 23, 1907.